One of the biggest obstacles to the growth of cassava business in the country is paucity of funds to strengthen the Cassava Empowerment Fund. The fund is constrained by lack of direct sources and marginal take-off grant that is too meager to sustain meaningful development. The nation spent a huge sum of money in research to develop new varieties that improved our yield and that are resistant to the endemic cassava diseases. But no money has been made available for the development of the down stream aspects of the industry which indeed, should drive the entire industry. 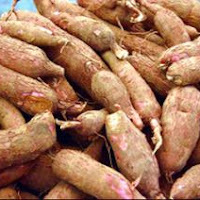 We now hear of cassava glut because the down stream that should mop up the products are not ready due to lack of adequate funding. The fund was initiated by the Flour Millers Association who in a patriotic show of corporate social responsibility kick-started it with a donation of N500 million. The fund was first managed by the Bank on Industry (BOI) and later by the Nigeria Agricultural Cooperative and Rural Development Bank (NACRDB). The amount is segmented in such a way that N300 million is for cassava processors and N100 million for Cassava Growers. The remaining was earmarked for other cassava activities. The amount for processors can only finance about 40 out of the required 225 processors needed to produce the minimum daily requirement of 560 metric tones required by the Flour Millers to meet the 5 percent cassava flour inclusion. The Agricultural Bank is sourcing for more funds to sustain this noble venture that can ameliorate our unemployment situation. This is the time for the Federal Government, the Central Bank and the Commercial Banks to wade into the Cassava sector by pumping more funds into the Cassava Empowerment Fund to enable more processors go into the business and produce more cassava flour for the local industry and for export. About six million jobs will be created if five percent inclusion is seriously enforced and 12 million when increased to 10 percent. We should not miss this opportunity to strengthen our economy. The Federal Government and the Central Bank should prevail on the Banker's Committee of the Commercial Banks to invest about N10 billion from the Small and Medium Enterprises Equity Investment Scheme (SMEEIS) to the Cassava Empowerment Fund. You may recall that SMEEIS was initiated in 2004 by the Banker's Committee to provide equity funding for SMEs to enable them overcome poor access to funds. The scheme requires all banks to set aside 10 percent of their profit before tax for this equity investment. So far, the fund has accumulated over N37.4 billion and only about N18.9 billion has been invested. Instead of the funds lying idle, it is better to invest part of it in the revolving Cassava Empowerment Fund, which is the engine room of the Cassava business in the country. Such an investment will go a long way in reducing our unemployment which stands at 48 percent and alleviating poverty which is the bane of our development efforts. All commercial banks should also be encouraged by the Central Bank to open cassava windows or desks in their banks to support the cassava industry and the composite flour initiative because of its job creation opportunities. Government should also direct positive action to stimulate the cassava empowerment fund by imposing 1 percent surcharge on the importation of wheat. This should be similar to the surcharge on rice which gave great impetus to rice development. Government should also pass a law on the national assembly making it mandatory on all flour mills to include 5-10 percent cassava flour in all wheat flour used in baking bread and confectionaries. This will make the enforceability of the policy more stringent and total. We must take very seriously, any opportunity to create jobs because unemployment is the major cause of our national problems: Urban unrest, insecurity, youth restiveness and others are caused by it. Over one million youths graduate from our tertiary institutions annually and we must find jobs for them. We are the world’s largest producer of the product which means that we have comparative advantage in it. The advantage must be used to solve our economic and social problems; Brazil and Thailand are doing it. Why not us? We should start with the composite flour to create more SMEs and develop more jobs. We should use what we have to get what we want. Bruno Orji is a consultant based in Lagos with expertise in the agro sector & exports. He is also an SMEclub Content Partner.